Finally a little bit of warmth has finally made a repeat appearance. It's time to start getting excited again about open toed shoes. Today's Shoeography Shoe of the Day gives great toe freedom. The Nina Originals Weaver Sandals is a chic boho beauty that celebrates retro style with a uniquely modern block heel. 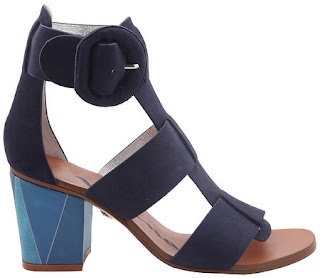 It features a soft Nubuck upper, a modern contemporary gladiator design, a single and tonal large side buckle closure, round toe, and a 2 1/2" geometric shaped heel. 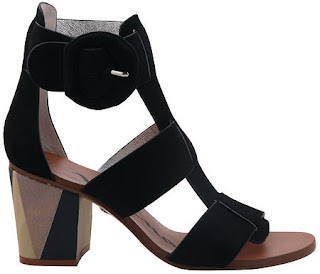 This stylish beauty is available in navy or black for $158.00 each on www.ninashoes.com.